Home » Uncategorized » MLCC Celebrates two anniversaries! Mark King, DC and Donna Moloney, DC opened Mt. Lookout Chiropractic Center on Mt. Lookout square in February 1987. Their efforts and commitment to a holistic approach earned them the respect of their community, and the loyalty of their patients. It also provided the first step toward the recent move from Mt. Lookout square to the historical Lincoln School Building on Delta Avenue near Columbia Parkway. At the Lincoln School Building, Drs. King and Moloney have expanded Mt. Lookout Chiropractic and Sports Injury Center yet continue to offer a personalized, holistic approach to conservative care, improving their patients overall health and wellness. 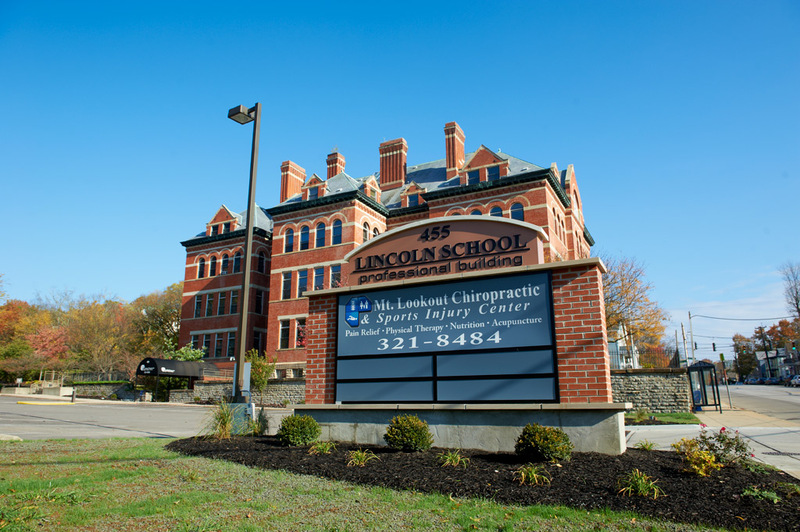 Along with the Center itself, Dr. King and Dr. Moloney’s chiropractic and personal family has grown. Along with their four children, Nicole, Kevin, Sarah and David, they have added new professionals that include: Chiropractors, Physical Therapists, Medical Doctors and Acupuncturists. Dr. Eric Eiselt, residing in Anderson, Ohio with his wife Alyssa and 3 children, Trevor, Ethan, and Kaylee. Dr.Steve King, residing in Highland Heights, Kentucky with his wife Johanna and 4 children, Gray, Linus, Henry and George. Dr. Jason Placeway, residing in Cincinnati,Ohio with his wife Laurel. Dr. Stejbach, a doctor of Physical Therapy, residing in Milford. Dr. Duplechan, a medical doctor specializing in pain management and rehabilitation. Derek Johnson, L.Ac, licensed Acupunturist. Carole Paine, L.Ac, licensed Acupunturist. The entire Mt. Lookout Center health care team and their families are committed to providing the best possible resource for support of healthy and productive lifestyles. The journey has been rewarding and still continues as the MLCC doctors work each day to provide care with a true appreciation and gratitude for their extended family of patients and neighbors. It has been a true honor and privilege for the Mt. Lookout Chiropractic Doctors to be part of the Cincinnati health care system and each one of their patient’s healthy lives.